PA spokesman says PA has "nothing to do" with the three missing yeshiva students. The Palestinian Authority (PA) is not responsible for the disappearance of the three yeshiva students who went missing near Hevron, a spokesman for the PA’s security services said Friday. The spokesman, Adnan al-Damiri, was responding to a statement from Prime Minister Binyamin Netanyahu’s office, which earlier held the PA leadership responsible for the boys' disappearance. "Three settlers are missing, why is this the fault of the Palestinian Authority? We have nothing to do with this issue,” Damiri said, according to Reuters. 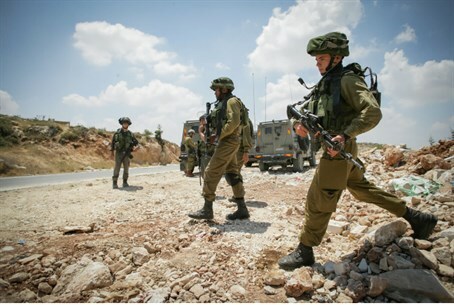 IDF Spokesman Motti Almoz said on Friday evening that the entire defense establishment was doing everything in its power to locate the three, but would not go into further details due to the sensitivity of the situation. “We understand the need to know more information, but suggest that everyone be patient. After the incident is over, we will provide more details,” he told reporters.